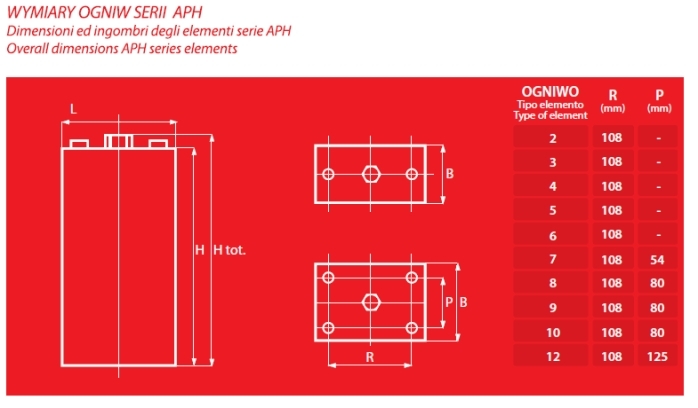 In our offer we have a wide range of cells with positive traction armour plate with increased density in accordance with DIN / PzSH - a series of APH. For the production of these cells have been used materials of the highest quality. The housing and lid of polypropylene welded together guarantee the tightness and the impossibility of the electrolyte of the cell. Production - the company "S.I.A.P."